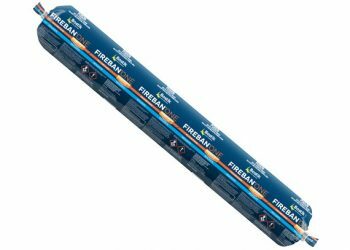 Fuller Firesound™ is formulated primarily to perform as a barrier to the incursion of fire through expansion joints and wall penetrations such as pipes or cables. When cured it will form a tough flexible fire rated seal for exterior and interior construction joints that are subject to movement of up to +/-20% in pre-cast concrete panels, block work and brickwork. 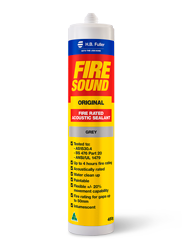 Firesound™ is also an effective acoustic sealant. Bostik Firecaulk is a single component, non-sag, fire rated acrylic based gunnable sealant. A general purpose product for construction joints and the sealing of service penetrations in plasterboard, concrete floors and masonry wall constructions. 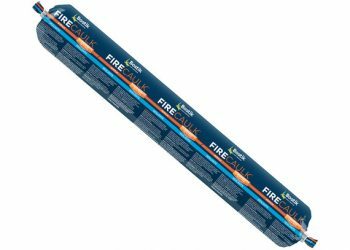 Bostik Fireban One is a fire rated intumescent, low modulus, one component and Class-A polyurethane sealant. When cured it will form a tough flexible fire rated seal capable of cyclic expansion and compression movement of +-25% of original installed joint width.